Last Saturday night, a little after 11 p.m., just as Max and Lola Bodega was closing, a Charlotte-Mecklenburg police officer stopped by, took some photos and said he’d be in touch. Nothing was confiscated. “Basically, he looked at all of our CBD stuff and took pictures of our CBD nanowater,” says Minh Lia, co-owner of Max & Lola. 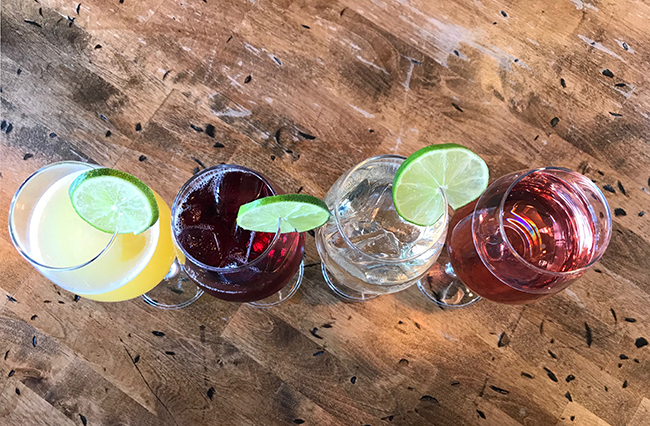 In addition to cocktails, beer and wine, Max and Lola’s offers other cannabidiol (CBD) products like pre-rolls, gummies and other products commonly found at area dispensaries. There’s also a mini-grocery with the basics for urban shoppers. Lia says he asked Cook if he could sell the CBD nanowater and cocktails separately and was told he could. Of course, that was before news broke that the N.C. Department of Agriculture and Customer Service would begin a so-called “crackdown” on CBD-infused foods, drinks and supplements. It’s expected that the state will begin sending letters to producers of CBD-infused products next week. The move follows similar regulatory efforts in California, Maine, New York, Ohio and some European countries. Possible CBD side effects, according to WebMD: dry mouth, low blood pressure, light headedness and drowsiness. Whatever the side effects of CBD in it’s isolated form, it’s now considered a drug by the FDA, and therefore under their regulatory jurisdiction. That is why states are pulling CBD products, not because there is all of a sudden something wrong with CBD. However, it’s not because CBD isolate is now considered a drug that Max and Lola’s aren’t able to continue serving CBD-infused cocktails. 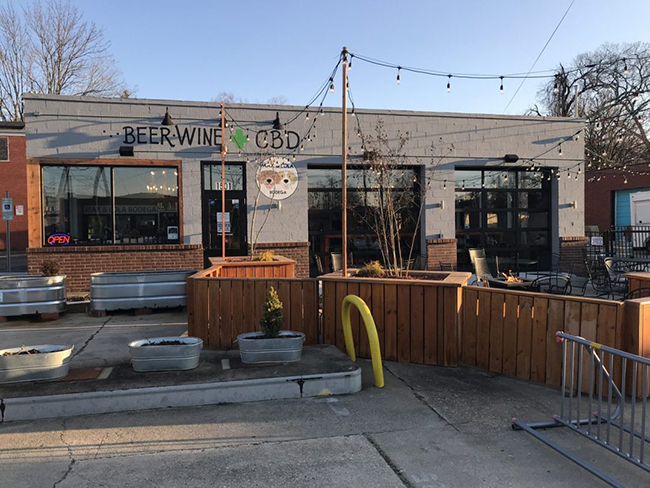 They can’t mix CBD-infused water, or anything else, with alcohol, says CMPD officer Cook, who works in the Alcoholic Beverage Control (ABC) Commission unit. In other words, until the government approves of the mixer, in this case CBD nanowater from Liberty CBD Oil Company of California, it’s illegal to mix it with alcohol. He says his CBD products are not isolates, but full-spectrum, which means they contain other cannabinoids in addition to CBD, like THCV, CBN, CBG … but less than 0.3 percent THC. Sometimes it’s called “whole plant” extract. (Depending on who you ask, there are hundreds of cannabinoids). Similar calls for hemp and CBD store owners and processors to push back against the government are coming from others as well, like activists in Maine who recently protested in the state capitol. “It’s tough for a small business like me,” Lia, owner of Max and Lola, says. “This is really going to hurt us. I’m not even sure we can survive like that. I’ve got thousands and thousands of dollars of inventory I don’t know what to do with now,” he says.